Whatever flaws we might identify or frustrations we might feel are trivial in comparison to a reader's pure joy in losing himself/herself in a narrative. When all the elements come together: an intriguing plot, thoughtful, profound themes, complex, troubling, characters, and language that make us shudder for its honesty, clarity, and confidence; we gratefully set all analysis aside and give ourselves up to the sheer magic of a great book. 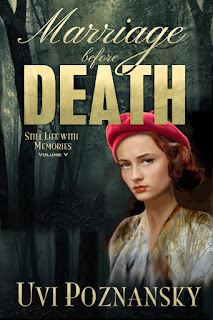 And for me, Marriage before Death: WWII Spy Thriller, is such a book. I absolutely enjoyed this story and would highly recommend it. Five stars from me.